We contract to FedEx Ground and have been a contractor for the past 25 years. You have the security of a big company with the advantage of working with a small family run business. Our trucks are company owned and maintained on our premises. Our Fleet is comprised of mostly late model Volvos equipped with double bunks, refrigerators, microwaves, TV & cell phones. Each driver is assigned a bluetooth headset to comply with laws. We are currently in the process of replacing our Fleet. The staff of Edan Farms, All Administration Services, LLC, include the Owner who has been in transportation over 25years. We have an Office Manager, Assistant Office Manager, Safety & HR Director and our Operations Manager. Our office handles all aspects of the business such as recruiting, hiring, training, payroll, evaluating, etc. 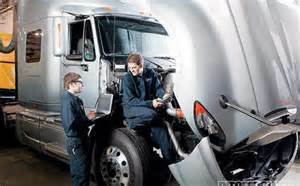 Edan Farms full service shop, All Maintenance Services, LLC, maintains our Fleet. There is the Shop Manager/Lead Mechanic, Assistant Shop Manager along with several Mechanics. We are available 24/7 for our Drivers to ensure their safety and to keep our tractors on the road.